Many artists we have come to know experienced their first big break at the right place and the right time. This is especially true for Billy Porter, a former pupil of songwriter/ vocal teacher and founder of The New York Songwriter’s Circle, Tina Shafer. The songstress, who I had the pleasure of meeting in-person at a performance at the New York Songwriter’s Circle held at Bitter End last month, also talked about another former vocal student named Lana Del Ray. Those who follow Lana know her break was very different from Billy Porter’s. “Lana, when she was studying with me,” recounts Tina, “wrote the song “Video Games” and most of the attention she first received was through online bullying. She is very beautiful and an easy “hate Target”. As people started listening to her they then started actually liking her music. There was a whole backlash of people that starting standing up for her. It became a viral phenomenon. Music Historian has welcomed advice on how to make it in the music industry from current and former record producers, music publishers, A&R representatives. Now, I welcome advice from Tina Shafer, who is a vocal teacher, singer-songwriter and the founder of the New York Songwriter’s Circle that helps provide a welcoming community to those who work in the beautiful, yet sometimes, lonely and cutthroat world of songwriting. I welcome Tina Shafer to my blog. “They [the teachers] were trying to prove they could teach difficult theory and composition to young kids. This is similar to the way they teach languages now to young kids. Just as she finished high school, Tina made the move to New York City, by herself, where she did not know anybody. She performed in clubs, including the Bitter End, and picked up any gig she could do. After 10 years in the city, she obtained her first publishing deal as a songwriter with Warner Chappell and started working with some big names. 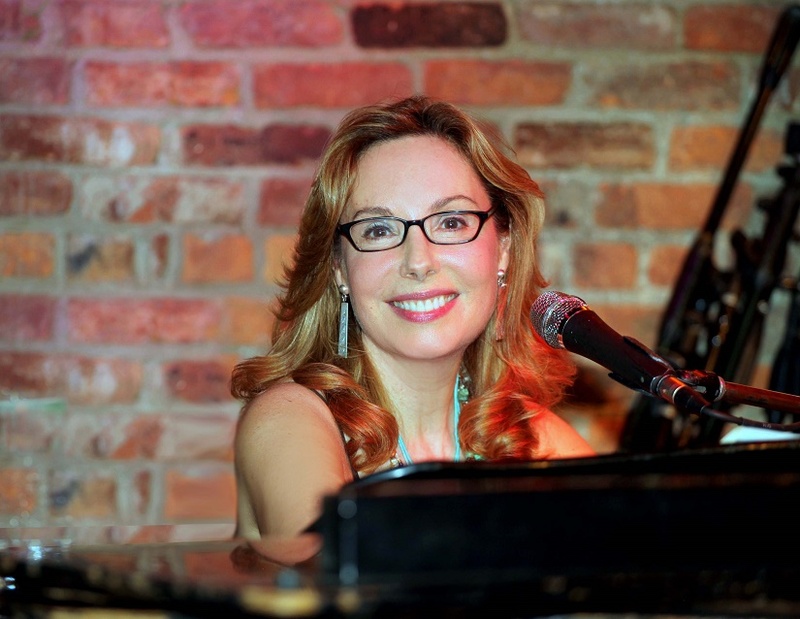 In addition to Billy Porter, she has written for Celine Dion, Donna Summer, Phoebe Snow, and performed with John Oates (Hall Of Fame), Suzanne Vega, Marc Cohn, The Hooters, The Spin Doctors, Gavin DeGraw, to name a few. 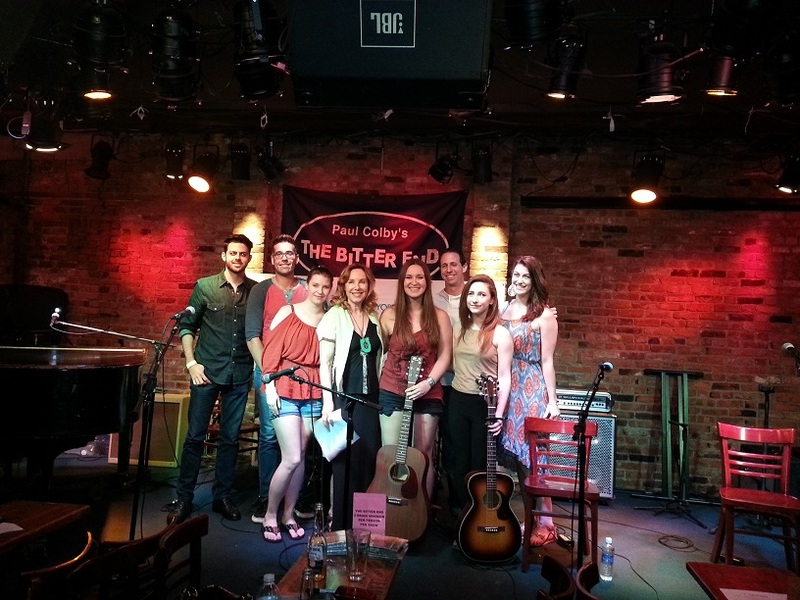 The New York Songwriter’s Circle officially started in 1991 held the first Monday of every month at the Historical Bitter End located in New York City’s West Village. Tina originally took over the circle as a temp for the original founder. The woman who was initially in charge left to Nashville for a trip and decided to not return. In 2016, The Circle will celebrate 25 years of facilitating rising talent. I then wondered how the business model worked. The last component of her business model; marketing, is perhaps most crucial. According to Professor Ana Valenzuela, a faculty member at Baruch College, 75% of a plan for any type of business involves marketing. The other 25% are finances. Marketing enables entrepreneurs to understand who they are as a business, which customers they serve, and what makes the customers return to use the product or service. Based on what I learned at the New Music Seminar earlier this summer, the same holds true for musicians. They must make music for their audiences. On the same token however, the music industry has changed dramatically in the last 10 years, making artists perhaps more vulnerable. “All you [the artist] need is a great booking agent and advisor. Then you tour, make money from that, and create a record on your own. In a way, this is good, but it costs money to have a booker, a website, you have to pay for so much. While so much has changed in the music industry, Tina reassures songwriters that even when record labels stopped paying for artistic development, Napster started satisfying customers who could get content for FREE, and self-recording and digitization has become more prominent; the only thing that has not changed is the need for great content. In other words, excellent records, songs, playing and performances. We are slowly catching up to the ways of the internet and trying to find avenues to get payment for content. However, like everybody working in music, I heard a lot of ‘no.’ Even while I was in college, many of my colleagues who were vocalists were told they would have the hardest times finding work after graduation. Now, I find myself talking with a Tina Shafer, who is a conservatory-trained vocalist and guitarist who managed to make her dreams of being a singer-songwriter come true. Naturally, I wanted to know whether she had any advice for someone who is currently in college or in the music industry and receives a lot of discouragement. Tina carries these encouraging words to her sons. Her oldest, Ari Zizzo who is 18 and becoming a well-known teen songwriter. He has so far, opened up for artists like Mumford and Sons and this summer will open for Emblem3 and Demi Lavato at the Pop Tarts Concerts in Chicago. In addition, Tina applies this lesson to The New York Songwriter’s Circle. While her company also works to help artists create content, Tina confirms that musicians must push themselves to connect with their own fan base, communicate with their customers directly, and get out into the performance spaces. In addition, good music will not change, and a great song has a way of rising to the top. One might bump into a cynic who discourages them from continuing with the music industry, but remember this – while music is an undervalued industry, music consumption will double within ten years. Thanks to digital technology, the artist, who I believe can now become more personally involved in the marketing and distribution, has the chance to ultimately get closer to the consumer via social media. Therefore, the consumer can have a better relationship with the product. This gives way to great branding opportunities exist for today’s musicians. Also, musicians trying to fund a record through KickStarter.com help create business while increasing communication with their supporters and customers. Finally, digital vehicles like iTunes and Spotify can immediately deliver music to buyers. Fantastic customer service, right? You can also check out Tina Shafer directly Tinashafer.net.